June 2006, Sai Kung Country Park. A female constructing her nest. 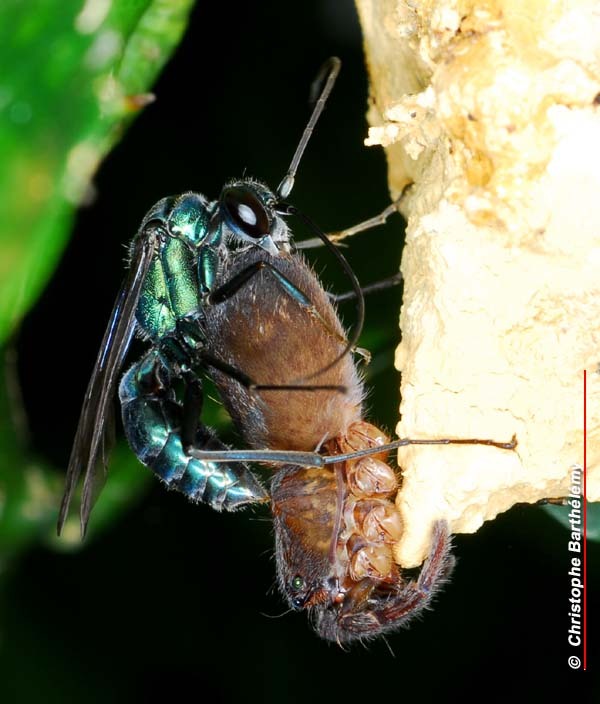 The mud (fine clay) is transferred from the mandibles to the apex of the abdomen which the wasp uses to apply the mixture to form the nest cells. This species is known locally to have a parasocial behaviour with 2 individuals sharing nest building activities and nest defense. June 2006, Sai Kung Country Park. The same individual furnishing a cell with a paralysed and dismembered spider. June 2006, Sai Kung Country Park. 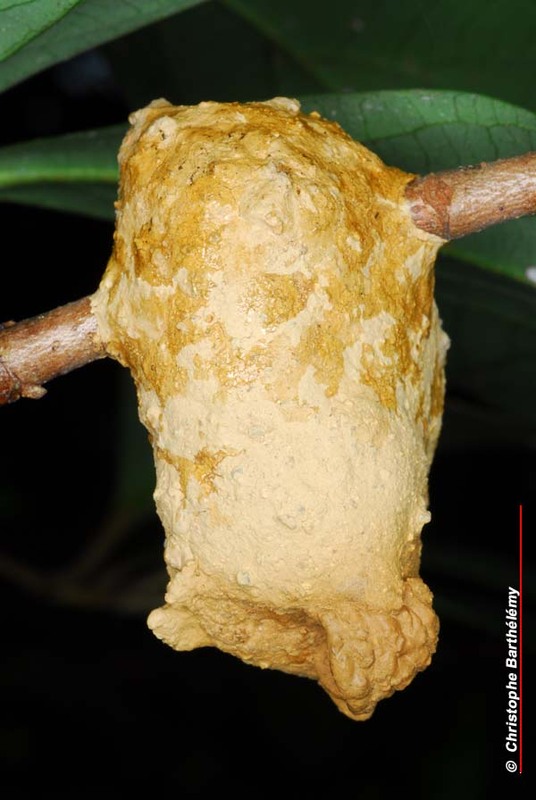 General view of a nest, comprises of several tubular cells all encased with a fine clay covering. On the nest is applied a sticky substance - probably plant sap - who's function is unclear, maybe as an ant repellant.